It converts the fonts to nice, big and eye-soothing serif fonts. It automatically justifies the text and adds automatic hyphenation to all articles. 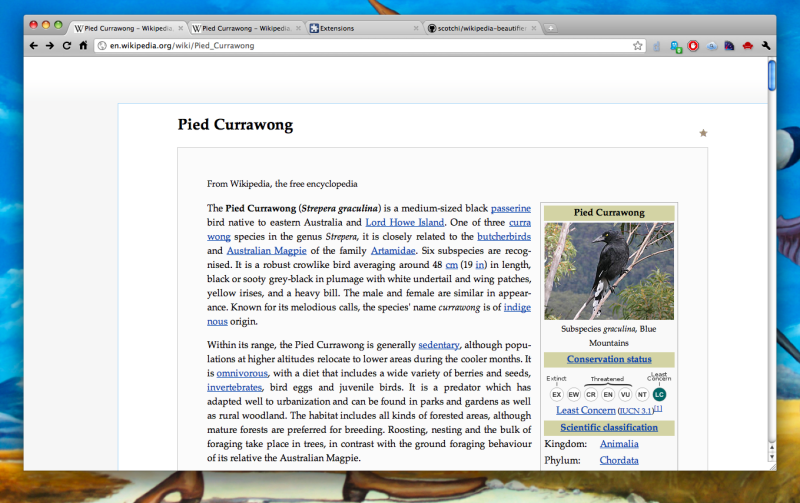 The Wikipedia Beautifier extension is currently not available on the Chrome Webstore. You can directly download it from this link (v 1.1.1). Visit the project page for more details about this extension.